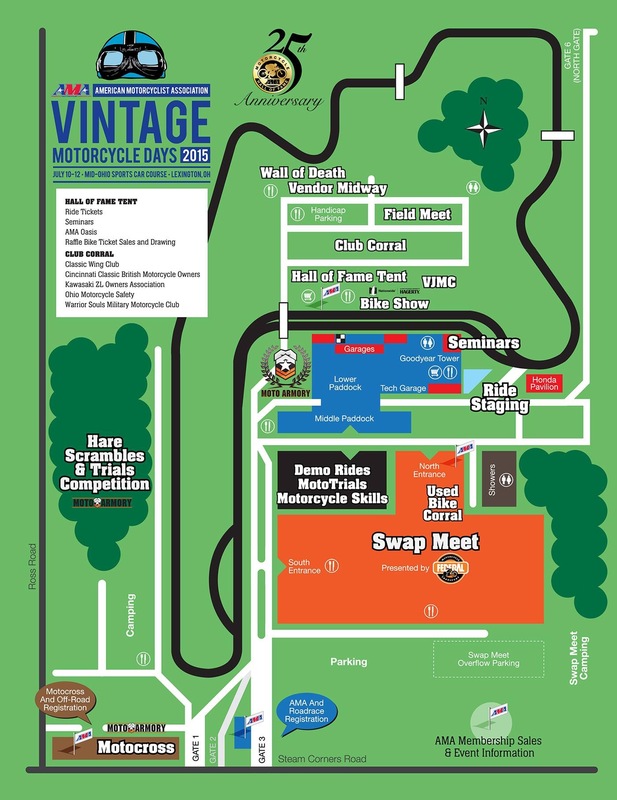 This year, due to some terrific timing with the Renfair, I was able to go up to the American Motorcycle Association Vintage Motorcycle Days at Mid-Ohio Racetrack in Lexington, OH (#AMAVMD). 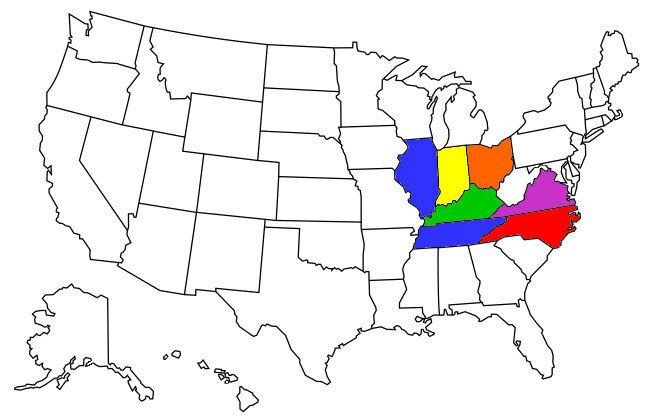 It was about a 5.5-6 hour drive up (and back) from Louisville. We headed out early (about 7:45 or so) and arrived around 1:30 at the camp ground. The AMA had Louisville Vintage Motor Works set up in the far back corner of the campgrounds, based on the legendary (if not before, they are now) parties we throw each night on site. From the Beer-Can Slalom to burnouts, it is a great time after hours. But I am getting ahead of myself. I have attached a map of the site so that the scale can be seen on how big this place is, and the need for access to a pit bike. Also, please note, I am attaching the photos after the write up in a gallery. This entry was posted in Weekend Trip and tagged #AMAVMD, #butchwiggersracing. So, last Tuesday was the “planning meeting” of Louisville Vintage Motor Works for the AMA Vintage Motorcycle Days in Lexington, OH. On deck was #Butchwiggersracing and crew along with a good deal of other people who were headed up for #AMAVMD. We got stuff going with custom t-shirts and setting up a food fund for breakfast and dinner while camping. Thanks to the staff from Barrett Bar for that! It was awesome! Please head past the break for some shots of the night. The actual post for #AMAVMD will be available later as I get to it. Possibly today. This entry was posted in Motorcycle and tagged #AMAVMD, #butchwiggersracing.